I am pleased to be the pastor at St. Stephen's. People pride themselves on it being a friendly parish. St. Stephen's is a small parish, but a busy one. We are active with worship, mission work, socials, and Christian Education. We are trying to be faithful in following Jesus. My sense is that many people feel that their relationship with God is important, but life is very full and there is not enough time available to fit it in. People would like to work through their own beliefs without anyone telling them what to believe. The primary sources of information about faith for most people are friends, family and the media. The church has something real to share. The church offers people access to God through worship and to a community of people. The Anglican Church is open to those who would like to explore their faith. To belong, you just attend worship as you are able. We will invite you to take part in our parish life, and accept the level of involvement that you are able to commit to. As people are interested, opportunities to discuss and learn about the Christian faith will be offered. You may have your name put on the parish list, which enables the parish to contact you. We all need people in our lives. Some have their families nearby to rely on, while others do not. Some rely on co-workers at their place of employment, while others have retired or been let go. If you have a need for people in your life, consider the church. The Church community is a good group of people. The church is not a perfect community, but it is one of the safer communities. Please drop in and check us out. Whether you become an active member of St. Stephen’s or not, I hope that you invite Jesus into your life and make him your companion on your life’s journey, and that you show kindness to the people around you. Please use this web site, and let us know suggestions for improvement. It has been set up for those interested in finding out more about St. Stephen's as well as active parishioners. Canon Ed Swayze is the Pastor at St. Stephen's, working 2 days a week and the Mission to Seafarers Chaplain working 2 1/4 days a week. When he works is flexible because, with his work with the seafarers, it depends on when ships need to be visited. He is at St. Stephen's most Sundays. He came to St. Stephen's in April 1994. 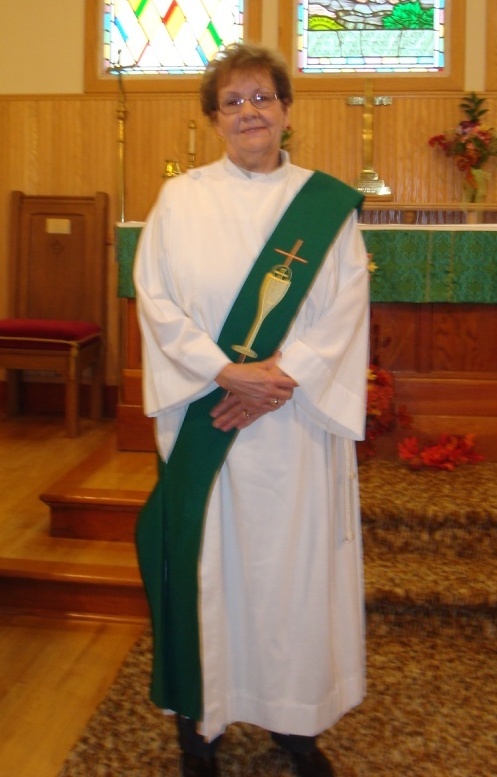 Previously he was the Pastor at Trinity Church Marathon and All Saints White River from 1989 to 1994 and Assistant at St. Luke's Cathedral in Sault Ste. Marie from 1987 to 1989. Ed has a Honours Bachelor of Science in Forestry from Lakehead University (1983) and a Masters of Divinity from Huron College of the University of Western Ontario (1987). He is involved in the community as a Canadian Forces Chaplain at HMCS GRIFFON, and has a sail boat at Prince Arthur's Marina. Eric joined our Parish as a Priest Associate in March 2017. Eric is the retired Archdeacon of Sudbury. 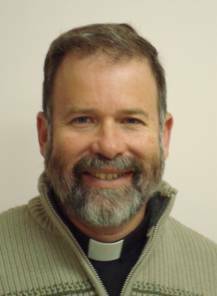 His whole ministry has been in the Diocese of Algoma with his first parish being the Parish of West Thunder Bay, and since then he served St. Paul's Haileybury; St. Matthew's Sault Ste. Marie; Church of the Epiphany Sudbury; All Saints Huntsville; and various parishes in the Deanery of Muskoka in an Interim capacity. Eric may lead Sunday worship in Canon Ed`s absence. Barb joined our Parish as our Deacon Associate in the fall of 2013. Barb has a Bachelor of Theology and a Master of Arts in Spiritual Discipline and Ministry Practice. She retired as Spiritual Care Specialist at St. Joseph's Care Group. She will be able to assist at St. Stephen's with pastoral care needs as well as lead Sunday worship in Canon Ed’s absence, including the distribution of reserved sacrament at a communion service.